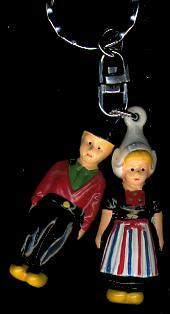 Dutch Couple Key Chain - Souvenirs - The Dutch Shop LLC your store for Dutch groceries. Dutch Couple Key Chain with metal ring. Show your Dutch pride with this cute Dutch couple key chain.